The price of this course comprises a package of benefits including a fully licensed copy of Sage 50 Payroll 2018 (including 1 year Sage technical support) and an exceptional examination pass rate. Quite simply the best value out there!! ** ICB Student Membership is not included within the cost of this course of study. After online course registration, if you have not provided details of your ICB Membership, we will add a surcharge of £30 to cover ICB membership. If you select to pay by monthly instalments £6.00 will be added to each of your five monthly payments. During online registration, select to switch to the option that incorporates the exam fees. With this option, your exam fees are either added to your full payment or spread evenly throughout your interest free payment term. Pay as you go: As you complete each section of study you'll be instructed to book your exams. If you have not pre-paid these you'd simply contact our admin team to pay and we'll then place your exam order. • NI deductions using the "non Cumulative" ("Alternative" or "Table method") and the "Cumulative Director method"
• Installing, setting up, configuring and using it to produce accurate, comprehensive reports from a range of payroll scenarios encountered in a business of up to 10 employees. • Periodic back-ups of payroll-related information. Note: the 'Basic PAYE Tools' package provided by HMRC does not offer the level of sophistication required to cover this part of the syllabus. • Setting up a pension scheme for a range of employees. The course is designed to appeal to those who wish to set up a manual or computerised payroll system for their business or for their clients, and also for those who are aspiring to become professional payroll processors. who are new to payroll and who wish to acquire the skills and knowledge required of payroll clerks prior to employment. who have previously worked in payroll and have not received a qualification. who wish to return to working in payroll and need to update their knowledge. who are already employed in payroll processing or allied roles and who wish to ensure that they have both a firm foundation and the knowledge and skills to perform some non-routine tasks. who wish to acquire the skills to use the Sage software for their business or help their clients set up their payroll system. who wish to offer a payroll service to their clients. Sage 50 Payroll software is supplied as part of this course. Upon successful completion of this course you will be fully prepared for the ICB payroll examination, and upon completion of this will be eligible to apply for ICB membership. 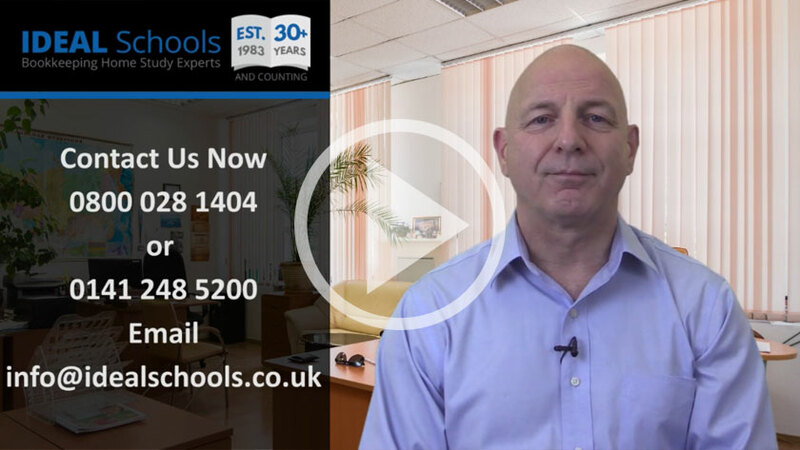 Tutors where helpful and responded to queries, study material easy to follow n both manual and computerised, I recommend ideal schools for distance learning in payroll Management. Thanks to Ideal Schools, I achieved a 98% (Distinction) pass rate. The tutors responded very quickly to any queries, I had on the way. Work submitted was marked and returned within a week. Above all the fees charged by Ideal Schools were very competitive. Thanks to Ideal Schools for getting me through this exam with a Distinction. With no prior work experience of Payroll, the study material, assignments and the excellent help and advice certainly prepared me to conquer the exam, with a high mark as a result. I couldn't have done it without a training provider. Thanks to Ideal Schools I gained a Distinction (98%) in the exam. The tutorial support whenever it was required, was brilliant. Assignments were returned marked in double quick time. Could you use another payroll software other than sage to complete this course? Many thanks for your question. Our course materials for the computerised section of study is very specific to not only Sage, but Sage 50 Payroll software. Each software package has their own processes and instruction would not be the same across the board. Hope this helps you with your course choice. I am looking to return to work after a long break and want to work in payroll so two questions: 1. does this course allow me to apply for jobs in payroll and is it a recognisable course amongst employers? 2. what requirements would my laptop need to be compatible with the sage programme. Do I need a specific amount of memory to run programme also can I run using windows 7 or 8? Many thanks for your questions. Have you studied with IDEAL before? If not, please accept my apologies. If you have, please contact me directly on 0141 248 5200. In answer to your questions, there is no reason why you should not be able to apply for jobs as this course is very comprehensive, ensuring a solid grounding of the payroll function as well as an in-depth knowledge of the workings of the Sage 50 Payroll program, the most widely used in this industry. Indeed, many student use this to offer full payroll services to businesses. If you have any further questions please contact me again and I'll be only too pleased to help. Can you tell me if this qualification is equivalent to the IAB Level 3 in Computerised Payroll in Business? It's been a few years since we've offered the IAB courses, but the ICB version was the same coverage as the IAB Level 2 & 3 payroll qualifications (combined). In recent years there have been a number of legislative changes within the payroll function, and our courses and ICB qualification has been brought up to date accordingly. If you have any further questions please get in touch again. Can the course be done purely electronically? i.e no paper. Manuals can be downloaded from a a site etc. Many thanks for your query. I hope you find the following helpful. Our courses are supplied in hard copy, in presentation folders. However, we can provide PDF files upon request but sometimes this is not very practical, particularly with the computerised bookkeeping & payroll element. If I can be of any further help please don;t hesitate to get in touch again. Are the units of this course QCF accredited by the government approved regulating body OFQUAL or not? Please accept my apologies for the delay in answering your question. I hope this is still relevant for you. Our ICB Payroll course is not QCF accredited and offers a stand alone qualification via ICB to enable students to offer a comprehensive payroll service on a self employed basis, or to operate within a payroll environment. If I can be of further help please get in touch again. After passing the exam is there a need to redo the exam again in say 2 or 3 years? No, once you have your qualification, as long as you keep renewing your ICB registration, your qualification will stay with you. However, the ICB have short "update" courses available for you to refresh your knowledge annually and these would also count toward Continuous Professional Development (CPD), which the ICB will soon introduce into their qualifications. Yes, the exam fee would be your only additional charge and you'd pay this direct to ICB at the time of applying for it. Other other aspects, such as study materials, Sage software and support are included in your course fees. The current cost of the exam is £43. If you require any further guidance please get in touch again. Hi, could you please tell me how much one year's membership to the ICB is? Do I have to register as a member to the ICB by myself or enrolling to the course is enough and you will continue with my membership on my behalf? The cost of one year's student membership with ICB is £48. If you register for this course it is included within the fees and we'd sort this out for you. Please get in touch again if you have any further questions. Hi, I was not happy with the results of my exam 3 years ago. I passed but disappointed with the score of 87. And during that time, I was just half-interested and was rushing to finish the course thinking I could land a job quickly but up to now I'm stuck in retail job. In addition, the software I have used from the other home learning school has expiration (180days) so it's completely a waste of my time and money. Can ICB would allow me to retake the exam? The ICB would allow you to attempt any exam again and any result you receive would replace your original pass. Are you looking to study the course syllabus again? If ye, and you can provide evidence of your previous pass, I can arrange a 10% discount on the course fees for you due to your prior knowledge. To arrange your registration I would ask that you call our offices on either 0141 248 5200 or 0800 028 1404. What material (workbooks...) is supplied for this course? Manual Payroll, where our own course authors have structured an eight lesson course of study, ensuring you would have a full background knowledge of the payroll function. Computerised Payroll, with Sage 50 Payroll, where we have commissioned training materials which not only prepares you fully for the ICB exam, but ensure you have a knowledge of the software to enable you to operate it in a professional capacity. How many lessons are there in the course? 8 lessons including all course notes, self progress tests with answers and each lesson has an assignment to be completed and returned to your course tutor for marking. Using Sage 50 Payroll we will guide you through two lengthy case study styled scenarios, which include the submission of a total of 7 assignments for correction. Upon completion of the above you are then asked to complete a Past Paper to ensure proper preparation for your final exam. Is this a level 3 course? What level is sufficient to be considered able to work on a self employed basis managing payroll outsourced from other companies? Yes, this is a Level III ICB qualification which is designed to enable you to offer a payroll service to businesses. The course covers both manual & computerised aspects to ensure you have a full knowledge of the payroll function. Does this course take you up to the level 3 required for membership to ICB? Completion of this qualification on its own would not gain you Full Membership of ICB, but Affiliate Membership. Students are required to complete the Bookkeepign qualifications to Level II for Associate Membership (AICB) and Level III for Full Membership (MICB). I want to ask whether the sage payroll software which you supply and fully licenced on student's name, valid for 180 days only OR how long they are valid for? I can confirm that all bookkeeping and payroll software supplied by ideal schools is fully licensed to the student to allow continued use on completion of the study. Does the cost of the course include student membership to the ICB? If you not already hold an ICB Membership then we'd deal with this for you and the cost would be included within your fees. In circumstances where the student has, or has previously held an ICB Membership, we pay ICB an administration fee to add this course to your ICB choices, and to add you as one of our students. Once you achieve success in your level III exams the ICB will write to you, offering you the opportunity to upgrade your membership status to Full Member. This is a very simple process and one that the ICB would help you through. I have 25+ years experience in payroll in South Africa but now reside in the UK and would like to learn the terminolgy. I presume the payroll is the same all over the world but need to know the different wordings? I have applied for various positions in the UK but have been unsucessful and would appreciate some advise please ? Hi Carol and thank you for your question. Our payroll course would give a comprehensive overview of the UK payroll system. Covering both manual & computerised elements we'd ensure you had a firm grasp of the relevant terminology as well as having an in-depth knowledge of the Sage Payroll system. The software would be supplied to you as part of your course and we use Sage 50 Payroll, which you can continue to use after your study in completed. With your prior experience you'd be able to go through your study very quickly indeed. This method of learning allows you spend as much time on your study as your own personal life allows, and we'd work at your pace to ensure you were not delayed in any way. If you require any further assistance please call our offices on 0141 248 5200. Hi, Where are the exams held? The exam for the Payroll Management Diploma is completed from home, as soon as you have completed your assignment work and past paper. This is ordered directly from ICB and you are given two weeks to complete it and return it to them for correction. The course materials provided for your study is specifically written to fit in with the ICB syllabus and we would be confident in you passing as our exam success percentage is very high indeed. Do you have to return any of the course material or sage software upon completion of the course? Software supplied, with ALL our computerised course options, is done so that the student can continue to use the software once their studies have been completed. The software would be registered to you and there would be no requirement for you to return this. After successfully completing this course, will you receive an official certificate. Also do you provide online tutors for additional help. This course of study is designed to prepare students for a final examination with the Institute of Certified Bookkeepers (ICB), where a diploma is awarded upon successful completion. The exam is completed from home, at any time of the year, so fits in perfectly with the distance learning / home study more of learning. We have fully qualified tutors available to help you with any question you may have throughout your study. Students are encouraged to use this facility as often as is required where support is available via telephone or email. How much study time (hrs) or length of support is included with the course? It is estimated that between 80 & 100 hours of study is required for this course option. Covering both manual & computerised aspects of payroll, this is a comprehensive course of study, ensuring that you are fully prepared for the final ICB exam. Not working at present so am taking additional courses to enhance my prospects. Do I need any additional requirements to start this course.Plus is there a limit on the sage payroll software(hours on licence etc). There is no prior knowledge required to commence this course of study. It assumes you have never dealt with payroll before and covers the basic aspects, before moving forward to more complex issues. The Sage 50 Payroll software supplied has no limit of time and would be fully licensed to the student. Does the course include exam fees? The exam fee would be your only additional cost and this would be payable directly to ICB at the time of applying for the exam. At the time of posting this answer the exam fee is £41.50.